Size: approx. 15-20 mm. Photo: 09/18/14, 10 pm. 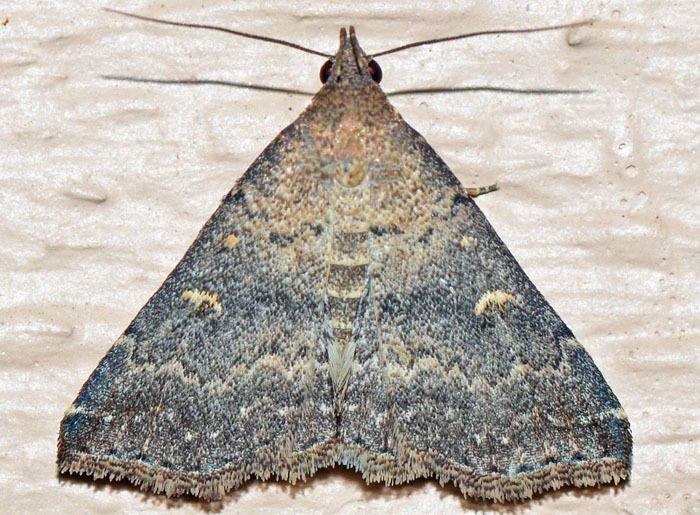 This litter moth is probably Tetanolita floridana - Hodges#8368 that despite its name, is wide-spread in the eastern half of the US. Its larvae seem to feed on fallen organic matter.